The Semi Finals are finally here. I was too busy in February and I had to leave you on your own at the Quarter Finals of the Greek Cup. My tight schedule is getting back to normal and I found some unexpected time to write this article on how I see the four candidates of the Semi Finals. I hope you will find it useful. *The titles contain the records of the 4 teams in Greek Cup 2015-16 since the tournament started in a total of 7 matches they have played. AEK concentrated on the Cup because they knew since Day 1 this would be the only way for them to satisfy their (many) fans. Let’s not forget they were promoted to Super League this season after the bankruptcy they filed three years ago (which lead them to Football League2). They look like they have learned their lesson and they are taking slow but steady steps. The unexpected weak performances of PAOK and Panathinaikos allowed AEK to hold the second place with ease and their morale is superb after the recent wins over Olympiacos and Panathinaikos (both with the same score, 1-0). 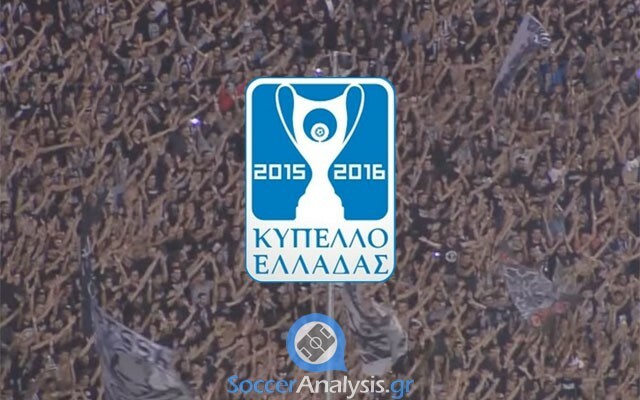 They want the Cup trophy badly and they hope to run into Olympiacos in the Final. For one more year Olympiacos dominated Super League. They mathematically ensured one more easy title last Sunday and became the first team to win a competition in Europe so early. Their roster cannot be compared to any of the rest domestic teams. The fans were hoping for a good season in Europe as well but Olympiacos showed up weaker than expected in crucial matches (Arsenal 0-3 in the last day of the Group Stage when they needed any result, even a defeat by one goal and, Anderlecht 1-2 in overtime at the Round of 32 in Europa League). In theory they are pissed off with AEK after the recent defeat at OAKA (1-0, first defeat of the season). Their statements show they want to meet them again in the Cup Final but it will be a huge mistake to underestimate PAOK. Their matches since mid-January show they have lost part of their energy and their motive.